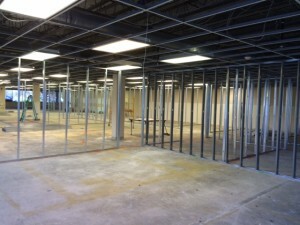 NJ Metal Framing | DeFazio Construction provides professional services in all aspects of metal stud framing, installation of acoustical ceilings, door installations and insulation work. The same craftsmanship and quality goes into all of our jobs, large or small, simple or sophisticated. Architectural detailed framing is our specialty. Our craftsmen specialize in simple or sophisticated NJ Metal Framing and acoustical ceiling work. To see for yourself, visit our Projects Page and view our work.